iEntry now redirect the old xmbforum .com to one of their webmaster forums. They should give us our domain back. why dont you guys take xmbforum.net domain ? About bloody time. It was nothing but a spam infested dump site anyways. If anything it serves you lot here better. It's about substance. Not a domain name. If people really want to find you they will. All they need to do is modify the footer template. In case it's interesting, xmbforum .com is for sale. 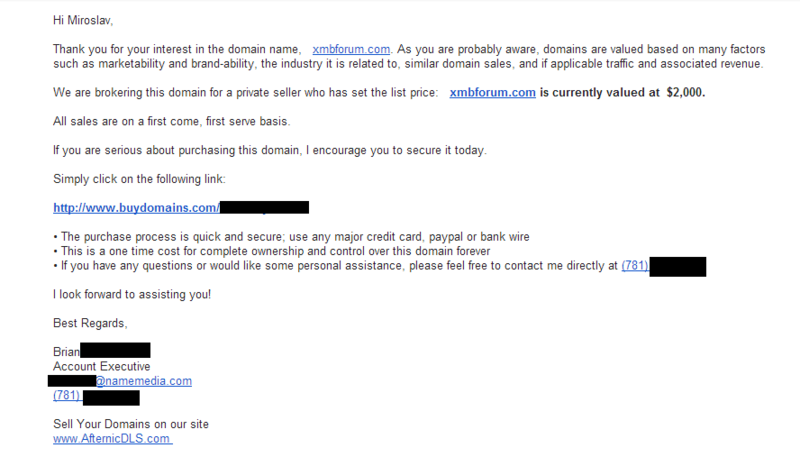 I was curious as to how much xmboforum.com would sell for...so I asked....see attached screenshot. After a while, they came back, for 2.500. In any case, who would buy these days xmbforum .com for such a price? It is insane. I also checked out the price ... It is insane.